Paper Crafts by Candace: Jaded Blossom Monthly Challenge: Valentine's Day! Hi Everyone! Happy Jaded Blossom Monthly Challenge! This months challenge is anything Valentines! I decided to make a Valentines themed card. 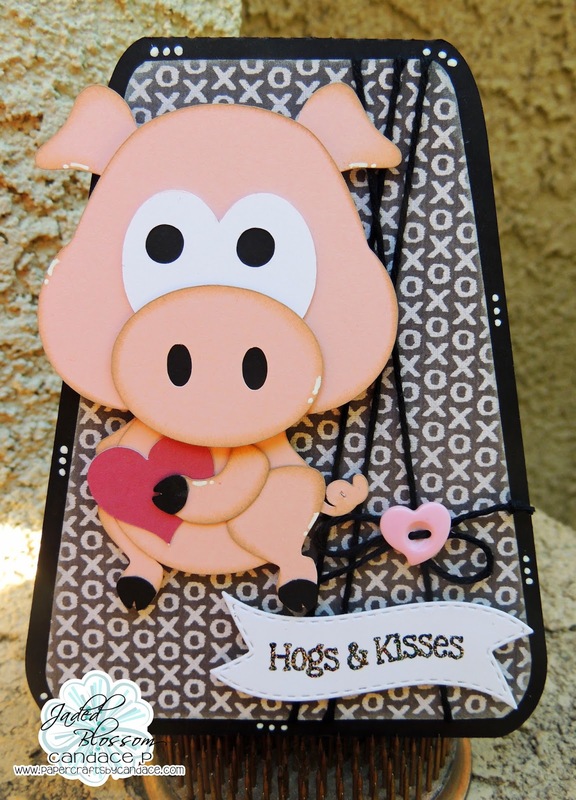 I just LOVE this Piggy from SVG Cutting Files and I modified him to hold a heart instead of a cookie. The card base is also from SVG Cutting Files. And a close up of the cute piggy!! Thanks for checking out my project today! Make sure to head over to Jaded Blossom to see what the rest of the team created for the Challenge! love it!!!! who knew a piggy could be so cute!!!!! ohhh.. black glitter embossing looks awesme. This piggy is adorable! This card is fabulous! 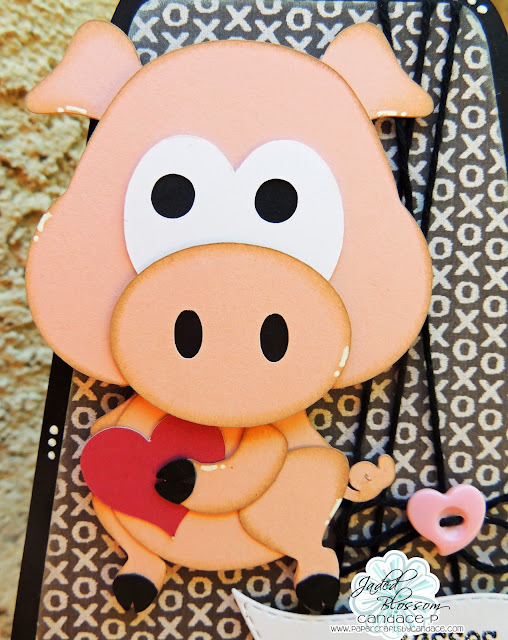 Love that cute little pig and the heart button is so cute! What a cute little hog! lol I love the embossing! 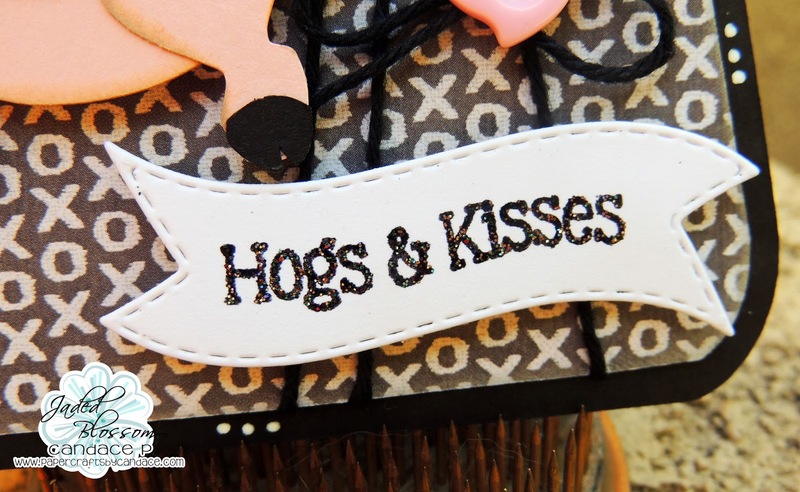 Oink Oink such a cute little piggy, love the glitter embossing too. this piggy is so darn cute!! and I love that background paper! very cute card!